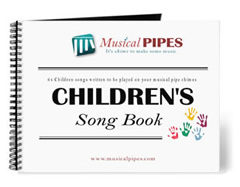 One of the most popular times to play pipe chimes with the whole family is during the holidays. 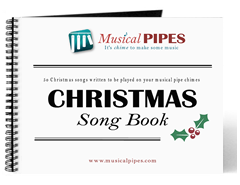 Christmas pipe chime music is simple, fun and can bring in the excitement of the holiday season quickly all while involving everybody in the group. 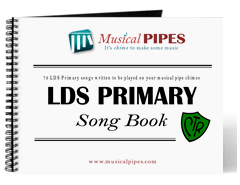 Browse through our large list of free Christmas pipe chime music or purchase your very own Christmas pipe chime PDF music book (children’s version available) for only $4.00 or a printed music book for only $10.00. Whichever you choose, we hope you enjoy these 50 popular Christmas pipe chime songs.